Miracles from Heaven is a proud sponsor of MOPS International. A butterfly. A bright red rose. A stunning sunset. A child’s laughter. A friend who loves at all times. A home filled with love. These everyday miracles demonstrate the profound way that God shows his love for us. In an otherwise chaotic, broken world, he infuses our lives with vibrant, significant and tangible examples of his goodness — we just need to open our eyes and look for them. This Easter, celebrate the beauty and hope of everyday miracles with the new film, Miracles from Heaven. Coming to theaters March 16, Miracles from Heaven serves as an amazing reminder of God’s unfailing love and constant presence in our lives. 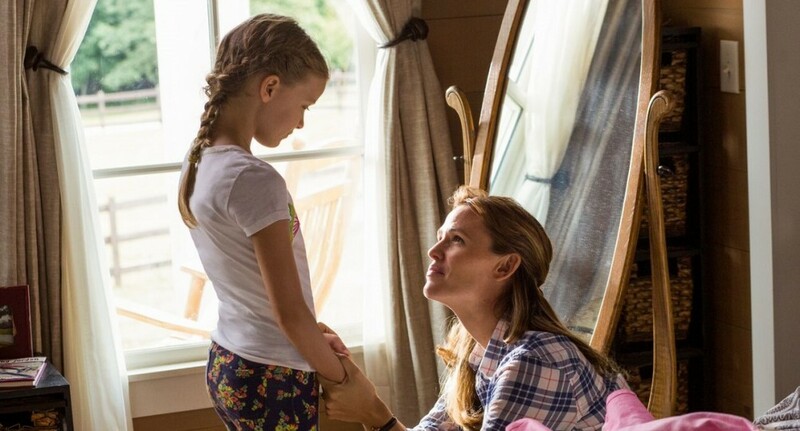 Starring Jennifer Garner, Kylie Rogers, Martin Henderson with Eugenio Derbez and Queen Latifah; Miracles from Heaven is based on the incredible true story and memoir of Christy Beam (Jennifer Garner). When Christy discovers her 10-year-old daughter Anna (Kylie Rogers) has a rare, incurable disease, she becomes a ferocious advocate for her daughter’s healing as she searches for a solution. Through this process Christy befriends Angela (Queen Latifah), who helps bring everyday joy and hope back to the Beam family. After Anna has a freak accident, an extraordinary miracle unfolds in the wake of her dramatic rescue that leaves medical specialists mystified, her family’s faith restored and their community inspired. Directed by Patricia Riggen. Screenplay by Randy Brown based on the book by Christy Beam. Produced by Joe Roth, T.D. Jakes and DeVon Franklin. Filled with powerful themes such as perseverance, faith, hope and compassion, Miracles from Heaven will spark discussions to engage, challenge and motivate the entire family. Miracles from Heaven releases nationwide in theaters on Wednesday, March 16, but you can join the conversation now by liking us on Facebook, following us on Twitter and visiting our Resource site. We look forward to talking with you! Mary Lasse is a media consultant and freelance writer. She lives in the greater Chicago area with her husband and two children.